California’s political campaign watchdog announced on Wednesday that it will investigate a complaint that the “No on Prop 6” campaign, which opposes the repeal of last year’s controversial gas tax, violated state campaign rules. Although many Republicans and conservatives have been critical of the FPPC after Democrats used their majorities in both houses of the California legislature to appoint political allies, it announced that it was investigating a complaint filed by former San Diego Councilman and radio host Carl DeMaio, a Republican, that Caltrans contractors had been illegally stopping traffic to hand out No on Prop 6 campaign literature on August 28. The California Political Review reported that the worker had been identified as a private contractor employed by the state. 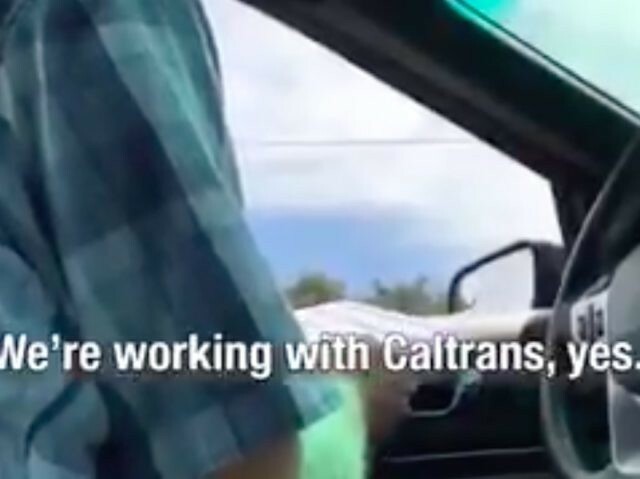 The FPPC cautioned that it is only looking into the complaint and had not determined if the allegations had merit under the law: “Caltrans is looking into the matter, but it is our understanding that these individuals were private contractors not Caltrans employees,” according to KPBS. Jon Coupal, President of the Howard Jarvis Taxpayers Association, which was instrumental in supporting the signature drive to put the Proposition 6 gas tax repeal on the November ballot, told Breitbart News that he was pleased that the FPPC was investigating the matter. Proposition 6 would repeal the Road Repair and Accountability Act of 2017 (Senate Bill 1), which raised gas taxes by 12 cents per gallon to generate billions of dollars to fund transportation projects. The grass roots effort to qualify Proposition 6 for the ballot has only raised $3,631,502, according to Ballotpedia. That is less than one seventh of the $26,177,071 raised by the “No on Prop 6” campaign, heavily funded by unions and road contractors.